You are here: Home > The Academy of Breastfeeding Medicine values breastfeeding more than whether babies live or die. Can you imagine the American College of Obstetrician-Gynecologists insisting that they must support the practice of routine episiotomies — even though they harm women — because obstetricians like them? I can’t. That would be deeply unethical. Can you imagine the The American Academy of Otolaryngology insisting that they must support the practice of routine tonsillectomies — even though the risks to children’s lives far outweigh any possible benefit — because Ear, Nose and Throat specialists profit from them? I can’t. That would be deeply unethical. Supporting “safe” bedsharing is no different from supporting “safe” drunk driving. Can you imagine the Academy of Breastfeeding Medicine insisting they must support the practice of routine bed sharing — even though it kills babies — because lactation professionals like it? Despite the fact that would be deeply unethical, you don’t have to imagine it. Incredibly, for lactation professionals, promoting breastfeeding is more important than whether babies live or die. The ABM has made their ugly position clear in a recent commentary by Ann Kellams, MD. …[T]he recommendations for infant feeding and safe sleep can be confusing and may appear to be at odds with one another. There is NOTHING confusing about the recommendations for safe infant sleep. Every pediatric and public health organization — valuing babies lives above whether or not they breastfeed — is very clear that bedsharing kills babies and should NOT be practiced. In contrast, every major lactation organization — valuing breastfeeding over whether babies lives or die — supports the deadly practice of bedsharing. So what? How does that justify hundreds of preventable infant deaths each year? It DOESN’T. What then is a mother to do? And how as physicians should we counsel them? There is no conundrum. The ethical position for doctors is to counsel mothers that bedsharing might kill their babies. The ethical position for mothers is to try to prevent bedsharing in order to avoid the deaths of their babies. But Dr. Kellams and the Academy of Breastfeeding Medicine apparently believe that promoting breastfeeding is more important than preventing infant deaths. For them, a few hundred dead babies each year pales into insignificance compared to goosing exclusive breastfeeding rates higher. Why? Because breastfeeding is “healthier.” They seem neither to know nor care that dead babies can’t breastfeed. That’s hilarious! The same people who insist that we should NOT listen to women who don’t wish to breastfeed and utterly ignore those women who report pain, exhaustion and insufficient breastmilk as reasons for choosing formula suddenly think we should “listen” to mothers who bedshare? The same people who insist that we should hammer new mothers with masses of information about the benefits of breastfeeding, force them into hospital settings in which they will be pressured to breastfeed and shame them for not breastfeeding expect us to believe they care at all about what mothers think? By that “reasoning,” we should listen to drunk drivers. Can you imagine ANY physician advocating counseling those who habitually drive drunk to make sure their brakes are in working order and buckle their seatbelts because they are probably going to drive drunk anyway? What would you think of any physician who insisted that the key to preventing drunk driving deaths was to support safe drunk driving? I imagine you would conclude that such physicians were behaving unethically. And what would you think of such a physician if you learned that she earned a substantial proportion of her income from bar owners and purveyors of alcoholic beverages in exchange for promoting drunk driving? I don’t know about you, but I would conclude she had a massive conflict of interest and that her “advice” should be ignored as utterly self-serving. Because that’s what is going on here. 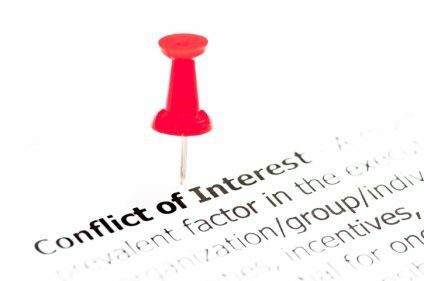 The Academy of Breastfeeding Medicine has a massive conflict of interest. They profit from promoting breastfeeding regardless of who gets hurt — or who dies! — in the process. But that would require valuing babies lives above breastfeeding. Unfortunately, they appear so blinded by their own interests that they consider a few hundred dead babies a year a small price to pay to promote breastfeeding. What is this about falling asleep while nursing? That only happens if you nurse in bed or on a sofa while exhausted. If you sit upright in a nursing chair, it’s very unlikely. We talk a lot about safe sleep environments and not nearly enough about safe nursing environments. Sofas and beds are only ok to nurse in if mom is wide awake. Sadly my LCs and breastfeeding educators only focused on feeding in whatever way shape or form made for a good latch. Shame on them. My baby has slept is his own room since day 1. I am sure the facts that I’m not exhausted and rarely bed-feed are doing much to counteract the biggest risks of suffocating my infant. I can’t find a cogent explanation for WHY room sharing reduces SIDS. Do we know if it increases suffocation risks (which are increasingly classified as not-SIDS)? Because it seems extremely common, even touted as a convenience, to bed-nurse while room sharing, and there’s evidence that room sharing reduces sleep quality, so sleepy moms are told to share the room and bring baby into bed to nurse … but also not to doze off in the process. My son is in a safe sleep environment and being forced to stand up to care for him and making sure he stays in his room guarantees he is in a safe sleep environment every time. As a stats person I recognize the importance of consistency: your risk management strategy is only as good as your consistency implementing it. This entire thing is elided over in the discussion of SIDS risks factors. Who in the world sleeps with “no soft bedding, i.e. pillows, blankets, or comforters in the environment”! Nobody I know. I can just imagine telling my spouse, “Since the baby’s nursing at night, we’re going to sleep without pillows, blankets and comforters.” Yeah, like that’s going to happen. The simple truth is, an adult bed is not a safe environment for a sleeping baby – period. Who would do this? People like my cousin, for example. In the first few weeks, her baby literally wouldn’t sleep for longer than a few minutes if not in physical contact with her, and she realised that the level of sleep deprivation where she’d repeatedly almost doze off walking down the stairs in the house was a very real and immediate danger to her and the baby’s health. She made a choice between two risky things, picking co-sleeping over being a walking zombie, and she knew that wasn’t great. Being a sensible person, she at least tried to do it in the least bad way, and stopped as soon as that became a real option. Yeah, I kept falling asleep with that middle of the night feed with my first, so for a few months we had to plan to do it. An added bonus with kid 2 is that DH could give her a bottle at that 3 am when I’m less than half awake. A crash and a cry and I’m up before he is, but apparently “I’m hungry” doesn’t wake me up the same way. There is a real issue with exhausted parents and desperation. I don’t think a physician should ever recommend bedsharing in order to breastfeed. But at the same time, an all or nothing approach can increase harm because if the message is abstinence (baby only sleeps in cot) and exhausted mothers are falling asleep with babies on sofas and in beds, that’s dangerous too. So I support listening to parents but with aim to prevent bedsharing firstmost, and make it safer as a secondary position, if the parent can’t or won’t stop. I think the “listening to parents” should include an understanding of how hard the “no bedsharing” rule is for some parents, and why it is important. And also an informed conversation about the risks — which might include the facts presented in the article — loose bedding, smoking, drinking, etc. do dramatically increase the risk. I don’t think we should mislead parents about the risk of bedsharing but full information does show that some practices are riskier than others — there IS a difference in risk profile between a drunk or high mom on a sofa and a sober one in the middle of a bed with only a sheet. But that conversation should start with the recommendation that, before you resort to a “safer” version of a dangerous practice, you should consider modifying your habits. You should enlist a second parent if one is there to help. You should set alarms on your phone that go off after 30 minutes that you start as soon as you start breastfeeding. Etc. And, most important, if you are so exhausted from breastfeeding that you cannot safely feed your baby and put them back in their bed, YOU SHOULD CONSIDER FORMULA. Skipping that step and going straight to — here’s how to make a high-risk activity safer–doesn’t make sense. You know how we are supposed to educate mothers on the “Risks of Formula Feeding” because “Facts are not Attacks”? That but where it actually matters because formula is fine, bedsharing is dangerous. Seriously. If you don’t measure up, you’re worthless. And if you’re not prepared to give up EVERYTHING (your job, your sleep, even your baby) then what ARE you? Lactivists insist that breastfeeding does NOT lead to less or worse sleep for mothers. Yet their endorsement of bedsharing for breastfeeding mothers is tacit admission that it does. If breastfeeding is no harder on a mother’s sleep than formula feeding, why would they need to give breastfeeding mothers a “pass” to do something risky like bed share? Because they know that breastfed babies typically interrupt a mother more times at night than formula fed babies do, and that a whole lot of breastfeeding moms could not tolerate this schedule if they had to actually get up out of bed to feed. The worse sleeping for EBF babies is probably also linked to not quite sufficient supply. While babies do get better at sleeping with time anyway, my sample of one suggests very much that the main point is for the baby to be able to stuff him/herself with enough milk to go for a longer stretch. And bad sleep for breastfeeding mum with supply issues is a marvellous way to start into a downward spiral in every respect. Yes it often is linked to low supply. Or linked to the condition of low storage capacity. Milk storage capacity is seldom talked about with humans, but it exists just as it does in cows. Beef cattle can make enough milk for a calf (sometimes even twins) to grow and thrive. So why aren’t they used as dairy cattle? The reason is partly that dairy cows can produce more milk overall, but perhaps even more important is frequency of milking. Dairy cows can produce lots of milk even when they are milked only twice per day. Beef breed cows, in contrast, will produce enough milk for a calf to thrive if and only if their udders are emptied multiple times per day. So they are kept with their calves round the clock, and their calves nurse multiple times in a 24 hour period to keep up their supply. If you were to treat them like dairy cows and milk them only twice daily they would dry up rapidly. Humans are the same. My own mother had a large storage capacity like a dairy cow. Even as an exclusively breastfed infant I was sleeping through the night and feeding only every 4 hours during the day by one month (I have my mother’s journals so I know.) Apparently she could store large amounts and apparently I could drink large amounts, and it was easy for both of us. A heck of a lot easier than if the baby can only get an ounce at a time every hour round the clock.. I saw that headline this weekend and I couldn’t believe it was a real article. NO physician should be recommending bedsharing. My aunt volunteers at a women’s shelter. She told me about a woman that was staying there with her baby and they provide cribs, bassinets etc. She wanted to bed share to breastfeed and she smothered her baby to death. She says she kept checking on her nights before, and kept telling her to use the bassinet provided but she refused. It was traumatic for everyone involved . OMG that is just horrible and preventable. Also this behavior was probably encouraged in the hospital if it was a BFHI which would make mom think it was safe and ok.
That’s horrible. Hadn’t realized I could donate baby stuff to the women’s shelter but now that you mention how much baby stuff they need, seems like the best way to get rid of it all. WTF? One of these things is not like the others. Formula feeding is not a risk factor. Yeah, that one made me do a double-take. I really want to see the data on suffocation and non-SIDS deaths. I’m a data scientist and a new mom. Fun right? The SIDS guidelines smelled very fishy to me in a “what are the confounding variables and how does the classification scheme affect the results?” kind of way. I’m quite skeptical about the recommendations to breast feed and roomshare. The causality would seem to go the other way — more exhausted moms bringing babies into beds more often. If the majority of those cases have been classified as non-SIDS then that would kind of invalidate the recommendation since parents of dead kids probably don’t think their dead kid is more acceptable because it was one kind of death vs another. I’ve talked endlessly on here about co-sleeping deaths and risk factors and how risk can be reduced (but never completely eliminated). Papers like the one referenced simply aren’t fair to parents. They get so much conflicting advice-several years ago I was giving evidence at an inquest into a cot death case, and the father said that they had asked about co-sleeping, and the midwife had told them that she was supposed to say it wasn’t recommended, but actually it was perfectly safe so they should just do it. Official guidance here is that the baby can be brought into bed for feeding but should be returned to their cot to sleep. I’ve had several cases where mum followed the guidance but ended up falling asleep and the baby rolled off face-down and asphyxiated. There’s also a risk if mum sits in a chair or on the sofa to feed and falls asleep-co sleeping on a sofa is far more risky than co-sleeping in bed. I feel sorry for parents stuck in the middle of all this-they are basically in a tug of war between various rival bodies with vested interests, and the mass of conflicting advice just adds to new parent anxiety. That is actually the thing that breaks me. New parents are exhausted and accidents happen. And if you take that as a given then in a lot of cases the choice is between falling asleep in a bed that you have prepared to the best of your ability or falling asleep in a recliner and I will always choose the former. It is 100% dangerous and suboptimal, but it is the better choice of the two. That isn’t to say that it is not reprehensible to recommend unsafe sleep locations, but we also have to be realistic and it is better in my mind to prepare for some level of failure and make things as safe as possible withing the constraints. For me personally I decided the best compromise was to set up a folding floor mattress in our nursery with a travel floor bassinet for nearby. The mattress is intended to be placed next to the crib so we can take nighttime shifts with the baby during the non-sleeping weeks but if it comes to a point where I am regularly at risk of falling asleep before I can get the baby into her crib then plan B is to bust out the bassinet for the floor and we get to learn how to sleep without blankets. I don’t want to get to plan B, she is definitely safer in the crib, but it is better than the accidental options.